Tranquil, quality and ready to move in. Sited within a well presented small group of quality Strata Titled homettes this single level property is perfect for the couple or single looking to downsize in style. With semi formal Lounge and dining this homette flows well and allows spaces to be on your own or together as you wish. Upgraded kitchen has great light from the East – perfect in the morning and shaded from the hot western sun in the afternoon and overlooks the covered outdoor area which is perfect for a relaxing breakfast. The master bedroom has a more spacious feel with a bay window and also has built in robes. The bathroom is original but quality and has separate toilet for convenience. A lockup garage with auto roller is a wonderful feature not just for added security but also divides you from the other unit. 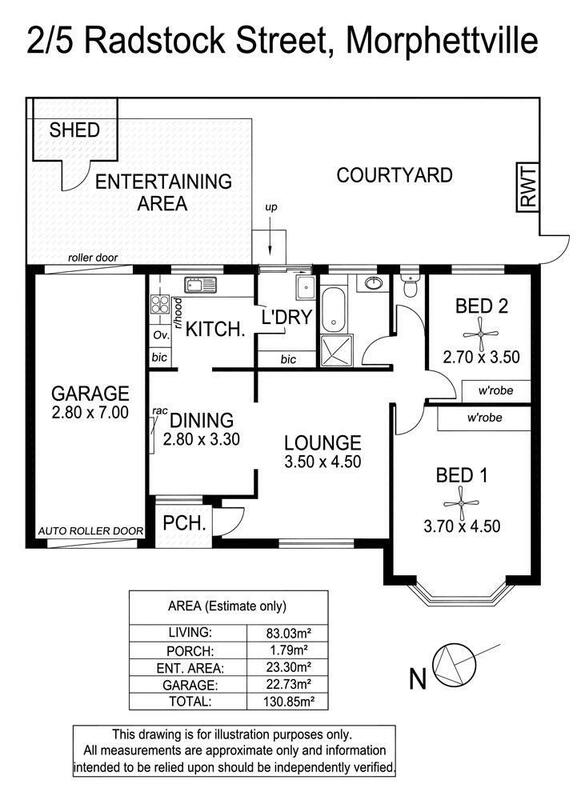 You main living areas and bedrooms do not adjoin any other unit. Close to parks, shops and transport this home will be popular with a large range of buyers including investors and first home buyers but it is perfect for the single or couple not ready for the retirement village. If you are contemplating a move but haven’t found that perfect homette – here it is – don’t delay as it must be sold. Call Paul McGrath or David Monfries now.